What is gender and how do we relate to it? 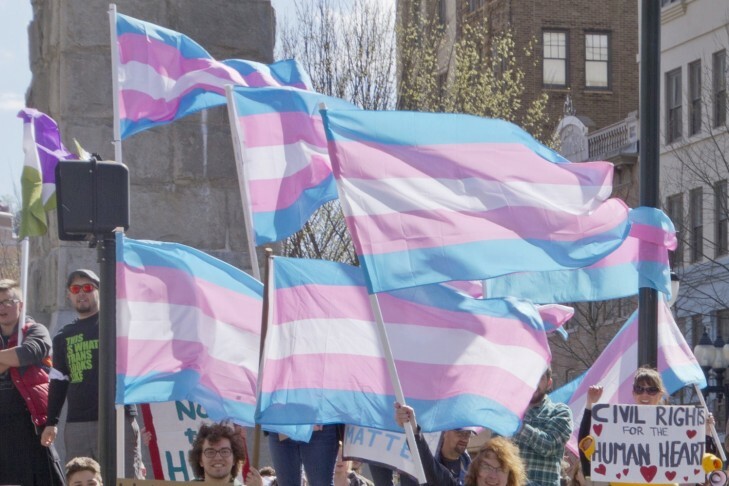 In today’s American cultural landscape, the conversation about the human rights and dignities of transgender individuals seems to be just beginning. How we speak of gender for future generations will be the topic of a panel discussion. A panel of experts will look at the fluidity of gender through many lenses – historical, cultural, biological – to understand how societal bias takes root. · Schuyler Bailar, a competitive swimmer at Harvard and the first openly transgender athlete to compete in any sport on a Division 1 men’s team. · Mimi Lemay, a prominent transgender rights activist, author and international advocate. Her upcoming memoir explores her ultra Orthodox Jewish upbringing and her experiences parenting her transgender son, Jacob. · Dr. Norman Spack, Senior Associate Emeritus, Endocrine Division of Boston Children’s Hospital, co-founder of the hospital’s Gender Management Service clinic. He is an internationally recognized expert and advocate for transgender individuals. · Nick Teich, Founder and CEO of Camp Aranu’tiq of Harbor Camps, the world’s first camp exclusively for transgender and gender-variant youth. The Future of Gender is part of the Jonathan Samen Hot Buttons, Cool Conversations Discussion Series at the JCC – a program of the Ryna Greenbaum JCC Center for the Arts. Tickets are $18. Visit www.bostonjcc.org/hotbuttons or contact 866-811-4111 or boxoffice@jccgb.org.